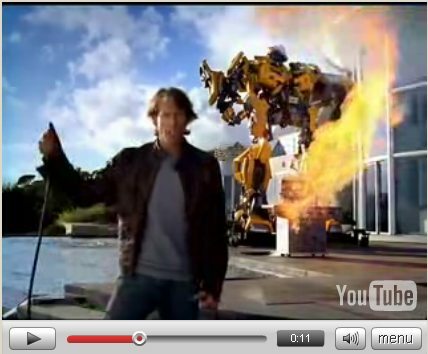 I love this new Verizon advert featuring Transformers Director Michael Bay. It’s like a cartoon, incredible timing, pacing, staging, composition, acting. I could loop it for hours !!! Nothing really new here. You are all subscribers to Jason Ryan’s newsletter and know his workflow very well. 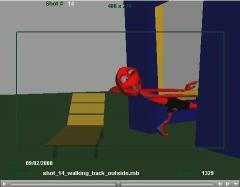 Personally I love it especially for broad animations or physical shots. My lead animator Louise organised a day out for all the animators from Rare to attend a “workshop” on acting for animators hosted by the famous Ed Hooks which you probably know for his book “Acting for animators”. My friend Andy gave it to me back in the days and I never managed to finish it. I was a bit apprehensive at first but Ed Hooks is a very entertaining character and his workshop was really great. I took loaaddddss of notes and it will probably take me few weeks to organise them. Richie found some similar notes on Thinking Animation blog but I can’t find them anymore. I will update the link tomorrow from work. I had to Google the french name, I will never be able to remember how to spell the name of 1958 Peyo comic strips “Les Schtroumpfs”, Smurfs for the english speakers. There is even a short video in french if you click on the picture. Yes I found the movie a bit dull and nearly fell asleep watching it twice but it’s still a Pixar movie so today I bought the Ratatouille DVD to be able to finally watch it frame by frame. Isn’t it the way every animated feature should be watched?? 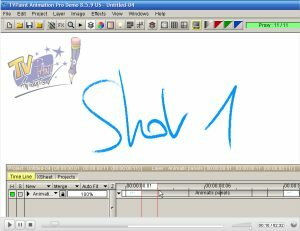 The animation is outstanding and watching frame by frame is the only way to see how you create entertaining performances. 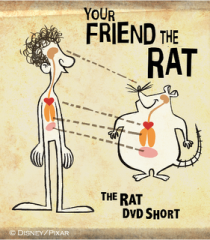 I bought the DVD because it is still a very nice piece of work but also for the beautifull end credits, the 100% keyframed animation logo, the awesome “Your friend the rat” short and ultimately for the Directors comments. Come on who doesn’t want to hear the guy who started at Disney under Milt Kahl aged 14 telling you a bit more about HIS movie? (ok he rewrote it). I bought the DVD to hear Brad Bird and some animators talking me through the film and did I get this??? Did I get this??? NOOOOOOO. There are NO DIRECTORS COMMENTS!!!. I am really disapointed Pixar. It ‘s the second time after Cars!!! 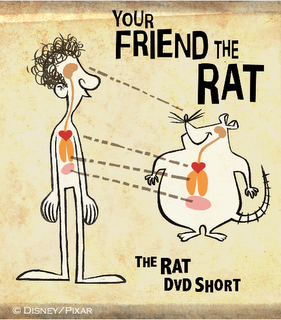 Except the “Your friend the rat” short (did I say how brilliant it is already?) I don’t see why anyone would buy the 2 DISCS EDITION!!! Most of the “Extra features” are already on AOL website or Itunes!!! It’s like if they were encouraging piracy to me. Give me something meaty Pixar or I am not gonna buy your DVDs anymore! 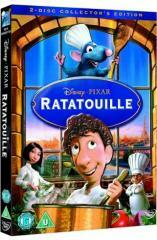 Has anyone seen “Your friend the rat”? They won an Annie award for best short few weeks ago did you know? Directed by Jim Capobianco. 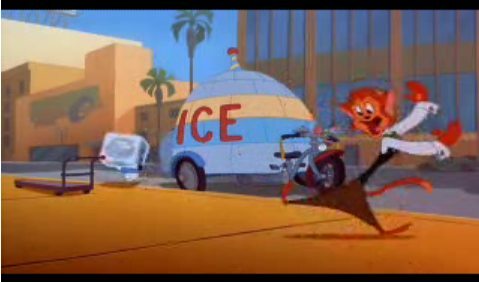 The production design was led by Nate Wragg, with Teddy Newton doing the character design, with the help of Bob Scott and Scott Morse handled backgrounds. some new pictures from Dreamworks show Kung Fu Panda have been posted on Character Design blog. Doesn’t this show look awesome??? Ratatouille took most of the awards yesterday night but Surf’s Up didn’t do too bad either. 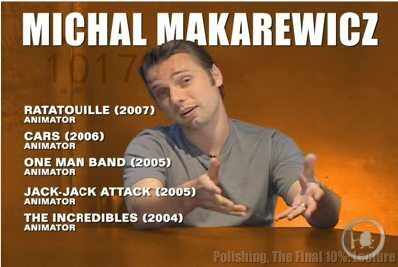 One of the highlights is Pixar Michal Makarewicz for Character Animation in a Feature Production the same week we have a lecture with him on Advanced Polishing at Animation Mentor. I don’t know which shots he worked on on Rat but I am sure he pushed them to the top. Now regarding the Character Design in an Animated Feature Production, I am not too sure I would have given it to Carter Goodrich instead of Sylvain Deboissy,. Rats character designs to me were much weaker than Surf’s Up. 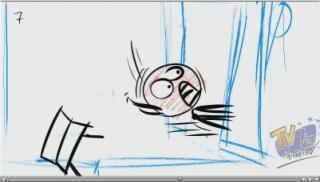 They were too many of those Pixar generigs for my liking and on few shots I thought I was looking at The Incredibles. Too many rounded shapes with no contrasting sharp angles. Only few characters on Rat had original designs compared to Surf’s Up.